Photographic distributor London Camera Exchange is holding a two-day photo and optics show in Southampton to offer discounts and a chance to use the new Canon EOS 1DX. On the first day of the event, which is the Canon Pro In-Store Day also includes product demos from Canon representatives, along with experts from thinkTANKphoto, Orbis Ring Flash, Lensbaby and Steadycam. A free EOS sensor clean performed by Canon technicians will also be available. A Canon EOS 1DX will also be in-store on the day. Not available to buy until February, the 1DX features an 18 megapixel full-frame sensor, the new Digic 5 processor and up to 12fps shooting. 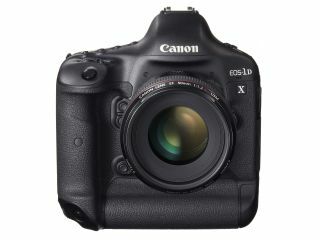 Announced in October, the 1DX is Canon's top of the line professional camera, combining both the 1D Mark III and 1Ds Mark IV. The second day of the event will see special deals from a wide variety of manufacturers including Canon, Nikon, Olympus, Panasonic, Pentax, Sigma Sony, Tamron and more. Also on the day there will be a free prize draw to win a Canon Powershot S95, a premium compact camera which retails for around £399. For more information on both days, visit the London Camera Exchange website.